Robert Munoz, in the back, is the cheerleader these campers need as they work through competitions and team activities during the week. Energy. We all have it. We all lose it. We all regain it. We all want more of it. We all choose how we use it. Whether it’s mentally applying ourselves to think through a complex calculus problem or physically exerting ourselves to lift a heavy chest of drawers, the fact that we all need to sit down and sleep and eat a meal lets us know that our energy runs on limited supply. Some people seem to have almost boundless energy to work through the night and get up at 4am ready to go. Others are less extreme, but more consistent during that 9-5. Some seem to really want to put their energy on display, while others quietly use it in the background. Certainly, there’s some biology, genetic makeup, and personality that contributes to all of that variation, but we all know there’s more than that. While he often plays a behind the scenes role organizing logistics, Camp Director Craig Duffy takes center stage every morning for camp to get campers excited for the day ahead! 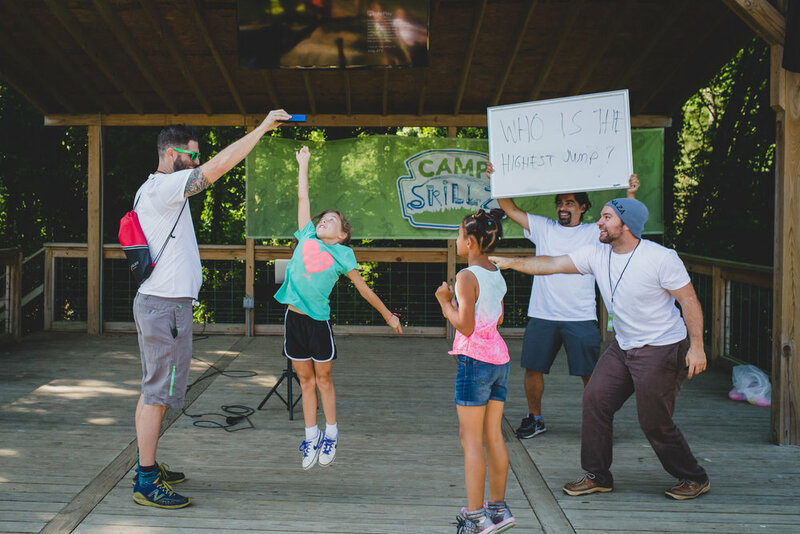 For the past month, I’ve watched three of my friends, Craig Duffy, Skylar Aaseby and Robert Munoz, demonstrate an almost unyielding energy as they oversee the facilitation of our six week summer camp, Camp Skillz. From spending late nights gathering supplies and organizing schedules, to early mornings rearranging because of the rain to assisting counselors in their efforts to give kids a meaningful experience, these three have not only demonstrated energy, but have ensured that part of their role is to energize others to make Camp Skillz the best it can be. I’ve observed each of them find ways to help campers incorporate a kid that feels left out. I’ve sat with them as they have helped campers work through disagreements during competitions. I’ve watched them press activity facilitators to make sure they are teaching lessons on patience, forgiveness, teamwork, and more as they work through activities. We all know it takes energy to work with kids. Capturing their attention and having the charisma and creativity to maintain their attention is no small task. Not to mention that with the attention they gave, they are supposed to be walking away with something meaningful. Skylar Aaseby is always ready to engage kids to participate, to learn and he encourages the facilitators to make sure it's all happening. What drives these guys is not just the fact that they can entertain kids. 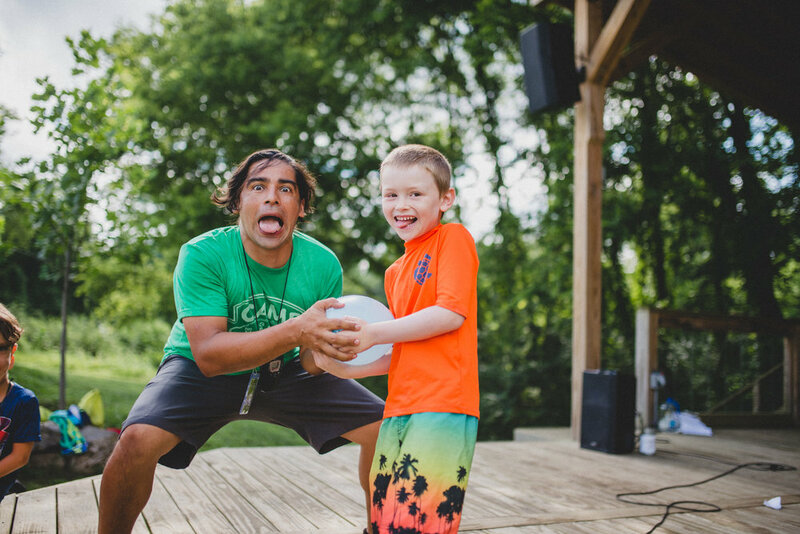 They recognize that summer camps can be pivotal times in a child’s life, when they learn valuable lessons that can carry them healthily into the next season of life. Just as Paul did, these Craig, Skylar and Rob are motivated to help the campers mature and develop into young people who can reflect the character of Jesus. One of my favorite parts: watching these guys out the window after a full day of camp and seeing them laugh together as they reflect on the day and eagerly plan for the next day’s activities. It’s made me want to spend my energy in really good ways.